fast delivery, easy to install. Thanks. I rang up, got good advice and placed my order. The battery arrived on time. What more could I want ? Perfect, well packaged, ultra fast delivey too. Will recommend you. Battery working perfectly though did not come fully charged which I realised only after installation. Car started and battery has now charged though. I had a few queries before purchase and was really impressed with the exceptionally friendly, patient and helpful service I received on the end of the phone. Equally impressive that there is a landline phone number for people using a mobile. I needed a cheap battery and I needed it quickly and Tayna batteries really didn't disappoint. I will use again most definitely. The service I received could not have been better. If this new battery lasts anywhere near as long as the one it replaced I will be more than happy. Excellent speedy response, just a day before Xmas, and price good. speedy delivery accurate battery specification, good value. Excellent service. The battery was delivered within 20 hours of ordering. 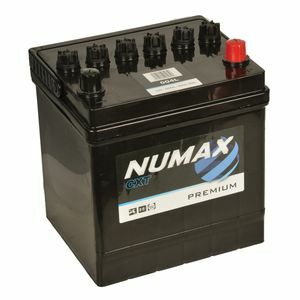 Absolutly superb a fantastic website batteries and level of service it does exactly what it says on the web and if you have a query like i did friendly staff to help and the dispatch and courier speed was out of this world would HIGHLY recommend this company to anyone. It brings pride back to the service sector. Price, availability and service, were all first class. I have 5 cars in my fleet, I'll be using Tayna for all battery neds from now onwards. Tahnks for a great service.